My buddy Mike Hammecker is a huge Liverpool FC fan. Just so happens that the Liver Football Club was making an appearance at Fenway park. 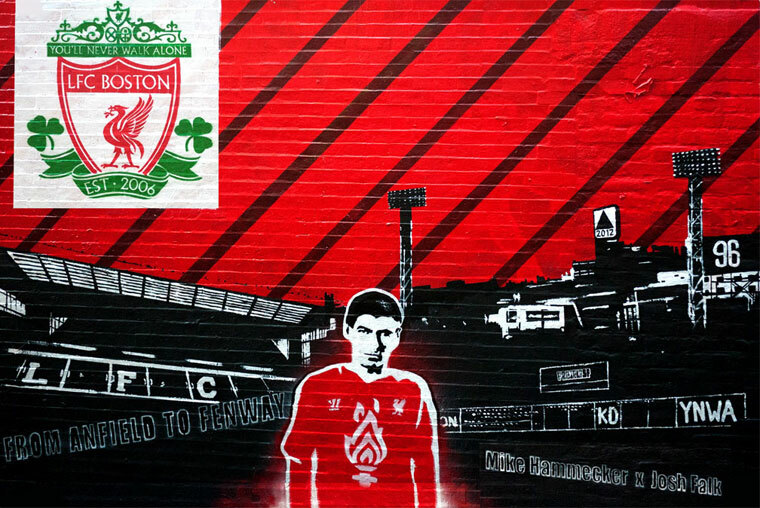 To welcome the club to town, Mike and I painted this mural in Central Square, Cambridge.